The Jetboil MicroMo Stove is a simple, easy and effective to use stove for cooking in the outdoors. It ensures consistent burner performance throughout the life of the gas canister, even down to -6°C temperatures and a fabric handle offers a secure grip on the pot while also being low profile for packing convenience. The insulating sleeve on the pot is great for keeping your food warm for longer and the base pot is great for using as an extra bowl or cup should you need it and it can also be used as a measuring cup to ensure your food turns out just right. 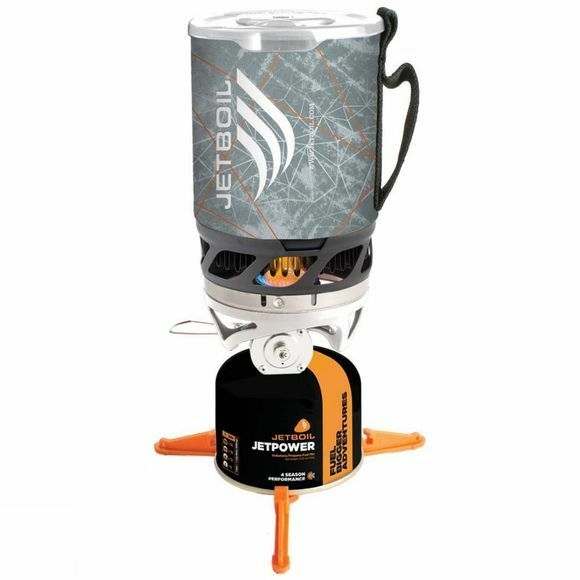 Please note: Jetboil Jetpower Gas Cartridge sold separately.